After a couple of days in the Big Apple, Annabelle and I have experienced the sardine squishing on the NY Metro, the type A people always on the go, the pedestrians completely ignoring crosswalk signage, there’s queuing everywhere you go and of course, the shocking sticker price on grocery items. We’ve recalibrated our expectations of what is considered expensive, and what is just the going rate – we’ve just ignored the fact that coffee cream that costs less than $2 at home will cost $3.50 here, or a bar of Dove soap is $3.25 that I can buy two bars for $2.50 back home. However, one thing we’ve discovered is that good dinners can be had for just about the same price as Edmonton if you do your homework. For example, yesterday we went the Aldea, a one star Michelin Portuguese restaurant in Manhattan’s Flatiron neighbourhood, an easy 20 min train ride from our rented Upper East Side apartment. Well appointed in modern decor, we sat upstairs in a spacious table for 2. For appetizers, Annabelle had the Croquetas de Baclhau with roasted garlic aioli, the cod is blended to a smoothness that the salty fish is only subtlely detected. Creamy texture in these cod-fish balls. I had the Shrimp Alhinho, with a subtle kick and lingering garlic finish. The main course for Annabelle was the Arroz de Pato – duck confit was pulled and served in a rice with chorizo, olive and orange, served on top with medium rare duck breast. Sumptuous. I had the simply named Suckling Pig that was slow-cooked sous vide in a water bath. 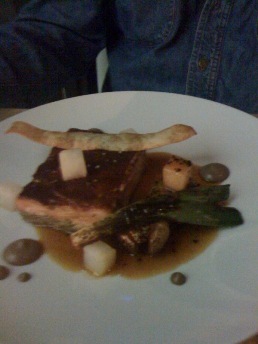 Various parts of the pig were done and then combined in a uniform rectangular shape and the grilled crisp skin on top. You could have thought it was Shepherd’s Pie if you didn’t know better. Great flavor from the pickled kohlrabi, carmelized onions and crush potatoes. Great presentation and the most unusual suckling pig i’ve ever had. For dessert, we shared the Sonhos “Little Dreams”, the Portuguese equivalent of the French Bignets, and these were “as good as my Mom’s” good. Smaller then the French version, they were light as a feather, lots of egg taste and when paired with three dipping sauces: chocolate-hazelnut, salted caramel and my favourite, the lemon curd to die for. Exquisite meal. The wine for the evening, the 2010 Herdade do Esporao Branco Reserva – a blend of three indigenous Alentejo white varietals, it was oily, lemony, perfumey and quite full-bodily dry, and as good as the 2006 which we once carried at the store. 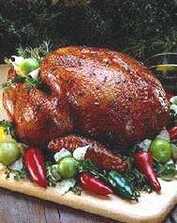 Went well with the appetizers and main courses. Each year, the 104th-St. community comes together to do a “spring street cleaning”. This year, the event will take place on Friday, April 27, 2012, rain or shine. It’s a great chance to lend a hand and meet your neighbors. Our past volunteers have included many of the streets business and property owners, residents and people from other areas of the city. Meeting Place: deVine Wines & Spirits, 10111-104th-St. – Coffee and donuts will be provided courtesy of the Coast Edmonton Plaza. 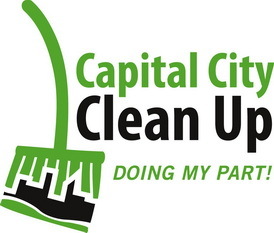 Your 104th-St. Action Committee has partnered with Capital City Clean Up to help us clean our neighborhood. They will be providing us with gloves, bags and dustbins to help us do our part. With your help, we can make this happen! 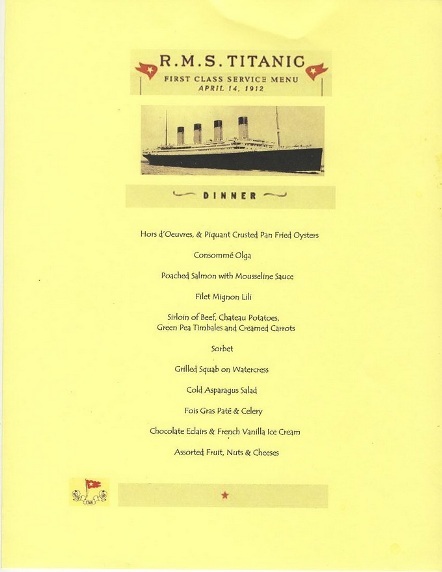 It was a “Titanic” dinner and the double meaning was entirely appropriate as on Saturday, April 14th, on the 100th anniversary of the sinking of the Titanic, twenty one of us decided to do a replica of the last dinner on board the ship. The timing was perfect, it was on a saturday, it was cold and wet out, and chances are we won’t be around for the next centennial anniversary. The event was held at Mercer’s Catering (our great thanks to Jill Mercer for allowing us the use of her wonderful space, with a kitchen worthy of the ship itself). The menu was ambitious and we cut it down to ONLY 11 courses (it took us from 7pm to almost 1am to finish – we carried our bellies home). The attendees selected one or two courses that they were going to prepare and it worked out wonderfully. The wine menu has never been recovered so we did our best to pair with quality wines to each course. I’ve always wondered what happened to what must have been an enormous and great wine cellar on board the ship. We tried to be as authentic as possible – we were all decked out in either First Class finery or lower berth slum-wear. Flowers were the traditional pink and white. Music was what was heard from the Titanic ranging from Tchaikovsky, Verdi, to ragtime, piano, Viennese Waltz music as well as what was said to be the last tune played by the String Trio onboard the Titanic – Songe d’Automne. Wayne, one of our contributing photographers, brought doilies for the flower arrangements, a couple of morse code machines, a British flag, and an officer’s whistle that was used to announce the start of the meal as well as a call to attention where each guest got up to speak to their respective courses. We must mention and thank our two wait staff, who were tremendous and even dressed their parts – amazing. Great fun was had by all, with only the inclement weather that prevented the men from going out to the attached deck for cigars and port. . Memorable in every way and a great way to pay tribute to a tragedy that forever changed maritime safety, as well as a great excuse to spend quality time with friends and loved ones and to empty out the cellar somewhat.